As I started thinking, I realized that from one year to the next, so much changes, and our worries and priorities change too. One year we might fervently pray for something, but after the prayer gets answered, we don’t remember how much we prayed for it and we might start taking things for granted. So I decided to create a resource for kids around this idea. 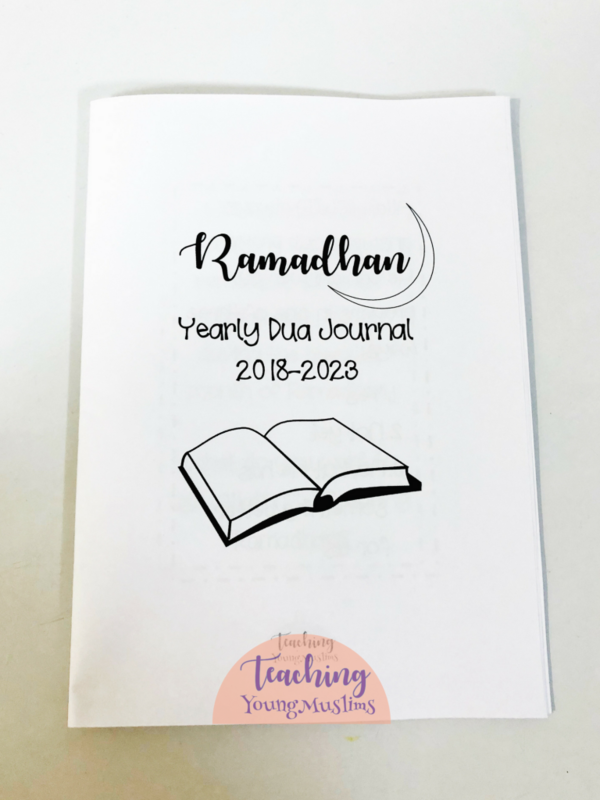 It’s a five-year Dua book, with a page to create a Dua list one year, and then reflect on it as Ramadhan comes again the next year. The book is tiny and can be kept with Ramadhan decorations so that we remember it each year. As we prepare our homes for Ramadhan, we can use this Dua book to reflect and help prepare our hearts for Ramadhan as well. Through the use of this Dua book, kids can get into the habit of realizing that what they pray for actually matters, and that their prayers actually do get answered. Their prayers don’t always get answered with a yes, and they don’t always get answered immediately, but they do get answered. The process of Dua is so beautiful and worthy of reflection – having our own evidence of this from year to year is powerful. Similar to other Reflection Journals I have posted before, this is a book aimed at children, but it is a simple and easy reflection tool for adults as well! 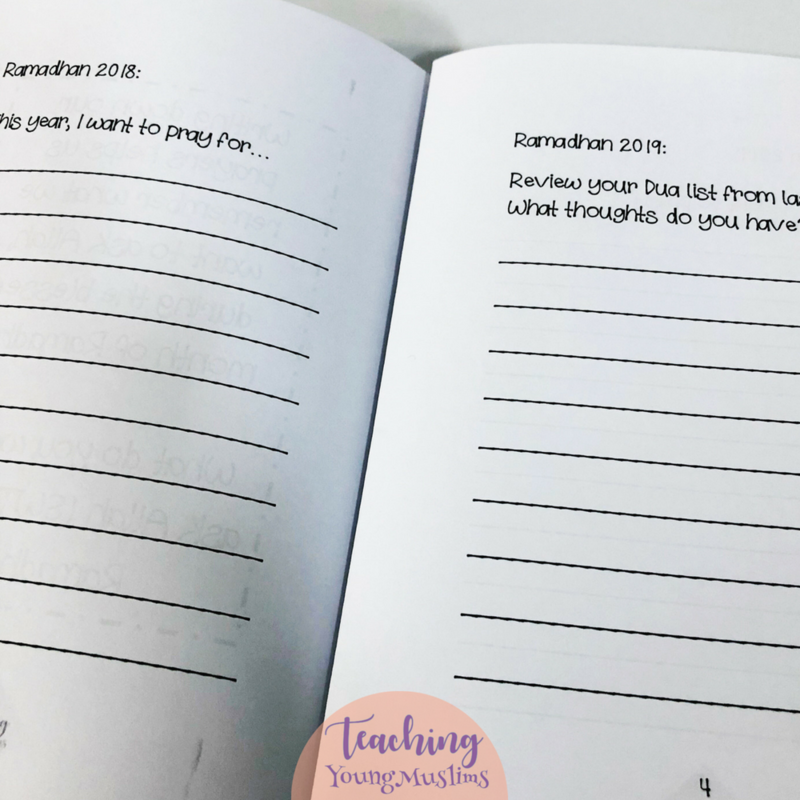 And for those kids who might be too young for this Reflection process – it’s still a good tool for them to use to start writing down their Duas, no matter how overly simple or impossibly far-fetched. It’s a good way to see the evolution of their Duas over the years. And they might even enjoy looking back at it five years from now. This free download is available in the Resource Library – sign up below to access it!